Giants defensive end Jason Pierre-Paul might not have been the only NFL player to hurt himself with fireworks over the holiday weekend. 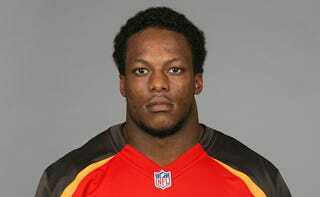 Roy Cummings of the Tampa Tribune says Buccaneers cornerback C.J. Wilson injured his hand in a fireworks accident on July 4th. After going undrafted, Wilson spent the 2013 season on the Bears’ roster before going to the Buccaneers. We’ll update if any more details surface. Update (2:32 p.m.): According to the Lincoln Times-News in North Carolina, Wilson lost two fingers in the accident while he was at his parents’ home in Lincolnton.